I'm not sure I like what's going on with the automobile industry and the new Corporate Average Fuel Economy CAFE standards. The President's new standard requires fleets to average 35.5 MPG by 2016. What I don't understand is that there are already vehicles manufactured that can achieve this standard, so why make it a standard across the board. If you want a car that can get 35 MPG go buy a Toyota Prius. If you want an SUV that can haul your family and tow the boat or RV go buy one. The last time I checked it was a free market of choices. If this new standard was really going to accomplish something significant, and save the consumer lots of money or save the planet I could see the good in it. The problem is it really won't accomplish anything good. 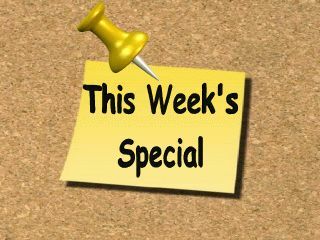 To achieve the standard there will be a significant price increase to the consumer who purchases one of these vehicles. 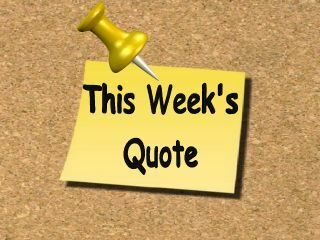 It will take 6 years to recoup the extra money spent, but most people only keep a car for 3 or 4 years. The vehicles will need to be smaller and lighter to meet the standard. Smaller and lighter vehicles equal less safe vehicles. Electric vehicles require electricity to make them go, so are we trading fossil fuel for coal fired power plants in an effort to help the environment? Less power, more money, unsafe and not exactly environmentally friendly cars; why not make it a law! What's going on with the green leaning administration in DC? Where's the sense in all of this? It scares me to think what impact this new CAFE standard will have on the RV industry. 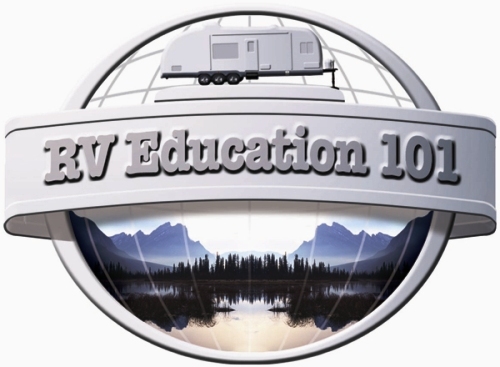 Will smaller, lighter RV's be the solution? Will the consumer be able to afford a truck that can tow a trailer? 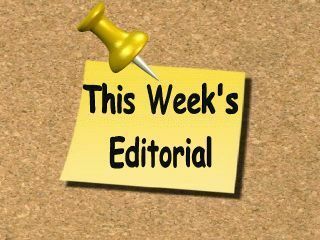 Be sure and read this week's feature article titled, I already have a golf cart, I don't need another one. 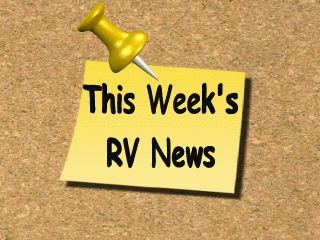 One thing is for sure the pop up sales and ultra light travel trailer sales will surely increase. That is why we decided to put our pop up DVD on sale this week. Q. I recently read your article on towing a car with dollies. 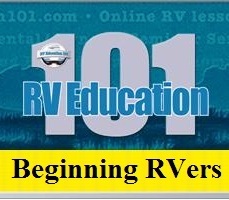 My wife and I are very new to RVing. We just purchased a 1995 Damon Class C on E350 Ford Chassis last summer. We are going on our first long trip this summer and have debated the towing versus renting a car when we get there. We had all but decided to rent instead of spending the money necessary to get tow bars etc. when a guy I work with suggested that I use his car trailer. What are your thoughts on this? This past weekend I tried it out towing our car home behind the motorhome. It handled well and according to the numbers I'm well within the weight limitations for towing. The ride seemed good and it was really easy to work with. Do you see any issues with our traveling this way? We are traveling from Indiana to the Mount Rushmore area of South Dakota. The trailer has brakes. The trailer has two axles, has an 18 foot bed and is roughly 1800 pounds, adding the car puts it a little over 5,000# and based on weights I can tow between 6-7,000#. Interesting enough, the biggest thing I noticed towing the trailer was that the ride in the motorhome is much smoother. I can feel the trailer there and the engine works a little harder to accelerate which is expected, but had no other issues with it other than the fact that backing it up is a trick I haven't learned well yet. Here are some things to consider before deciding on the car trailer. A car trailer is a very viable option, but the most common problem with them is being overweight. You mentioned it weighs close to 1,800 lbs. but have you actually weighed it? You also mentioned the combined weight of the car and trailer is about 5,000 lbs, but have you actually weighed them together? I remember a customer I had years ago who said his Ford Ranger only weighed about 3,500 lbs but when I sent him to the scales the fully loaded Ranger weighed almost 5,500 lbs. Here is a potential problem. 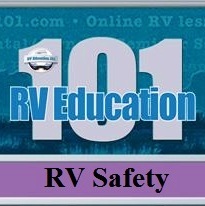 Even though the motorhome is rated to tow 6k or 7k the receiver on the back of the motorhome is often times only rated for 3,500 or possibly 5,000 lbs. You need to check that rating first. Another consideration is that a gasoline engine loses power and performance in higher elevations. The weight may feel fine behind the motorhome now but in the Black Hills of South Dakota you will surely know it's back there. One thought would be to look into renting a tow dolly for the trip, but I would make sure it had brakes. 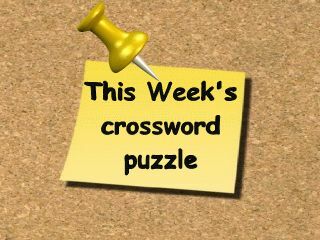 This play and learn crossword puzzle is "RV Electrical Savvy "
Check out this week's poll: "Are you for or against the new national fuel economy program (CAFE) Corporate Average Fuel Economy regulations?" Pop Up 101 DVD Learn about your Pop-Up the Easy Way.... So you are thinking about buying a Pop-Up, or maybe you already bought one. 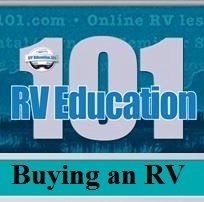 If you bought it from an RV Dealer, you probably received a walkthrough, but you have no idea what was said! You can't remember what they told you about how to hook and unhook a pop-up from its tow vehicle. Now you're not sure when to lower the stabilizer jacks. What did they say about the awning? 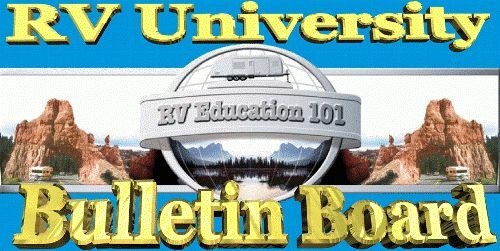 Learning the do's and don'ts on how to hook-up to campground water, and electric alone are enough to make your head spin! You probably took notes, but now you realize you might have heard something differently. Well, you can relax. 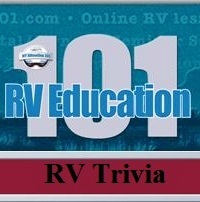 The host of the video Mark Polk has dealt with these types of questions and concerns over and over again when he was a sales manager for an RV dealership. 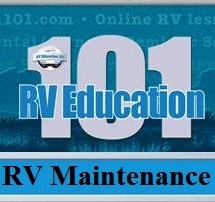 He felt that a video was the perfect way to address the RV consumers concerns. 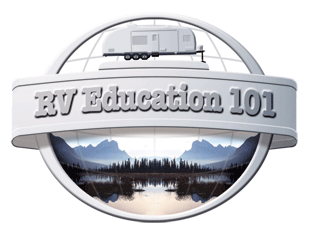 With this kind of thorough visual training, you can now relax and watch the video as many times as it takes to master your RV!